It's more than renting the correct tux and getting the groom to the church on time. The guys help to set the mood for the day. There's nothing worse than guys who think they're too cool for school--especially when they have a secret collection of pocket protectors at home. And as for setting up and breaking down, I think the girls really appreciate having a little extra muscle on hand. 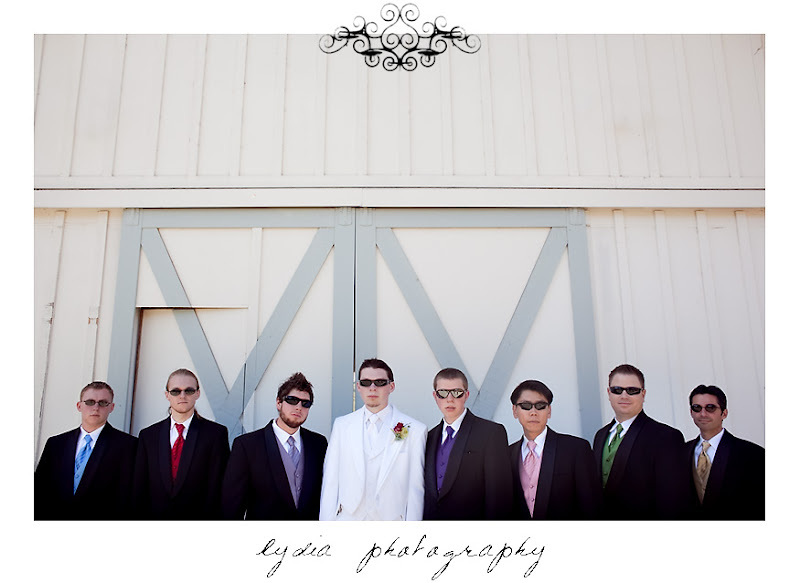 So besides the obvious, what does it take to be the perfect groomsman? If you haven't noticed, girls tend to keep and collect friends. When it comes time for the bride to choose her bridesmaids, it's not unusual for her to have a longer list than her fiance. 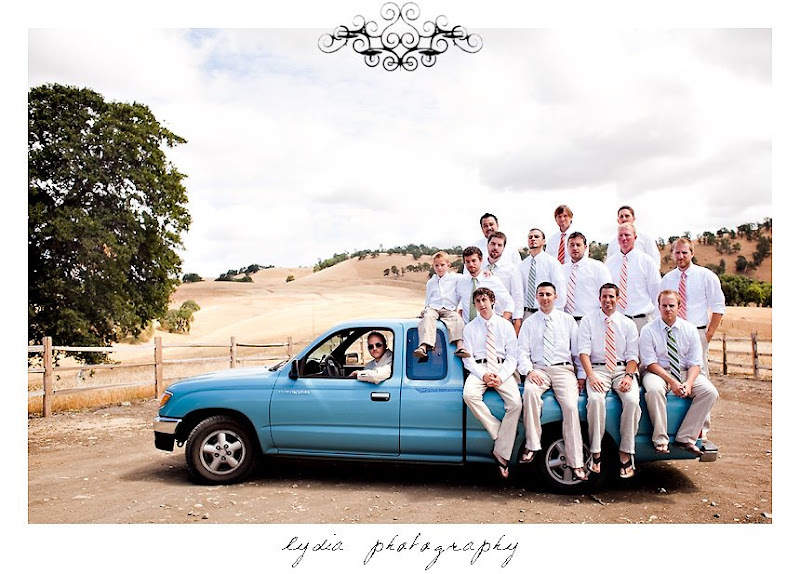 In this type of situation, it's possible that you've known the groom for less than six months and only hung out on the basketball court or soccer field. Don't be offended. It's a guy thing. More specifically, a guy-who's-engaged-to-be-married-to-a-fiancee-that-wants-an-even-amount-of-wedding-party-members thing. The kind that cover you eyes and block the sun's rays. They also look pretty nifty when you all do your "manly pose." Forget them at home and you're at the mercy of your environment. You may end up wearing a pair of girl's shades with pink flowers on the temples. Break them and you die...after the wedding. I wouldn't want to upset the balance of the wedding party. A newer tradition, it's a way for guys to express their personality without messing up the look of the day. The key is to make sure you all are doing it. While guys have been known to trade socks so they all have one cool one on for the picture...let's not go there. 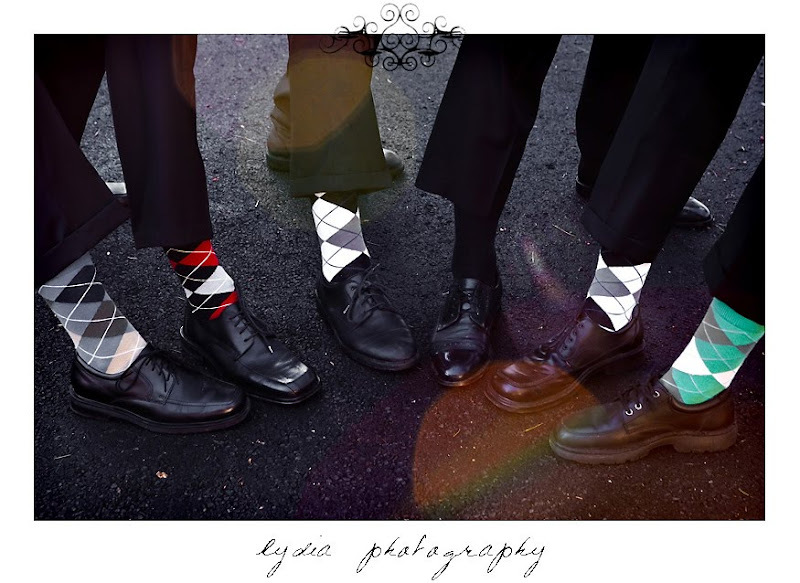 Invest in a pair of argyles or stripes, and you'll be good to go for many a wedding season. This can be learned. I recommend practicing in a location that's hidden from public view. Otherwise you might get unusual looks or even calls to the police to report suspicious conduct. 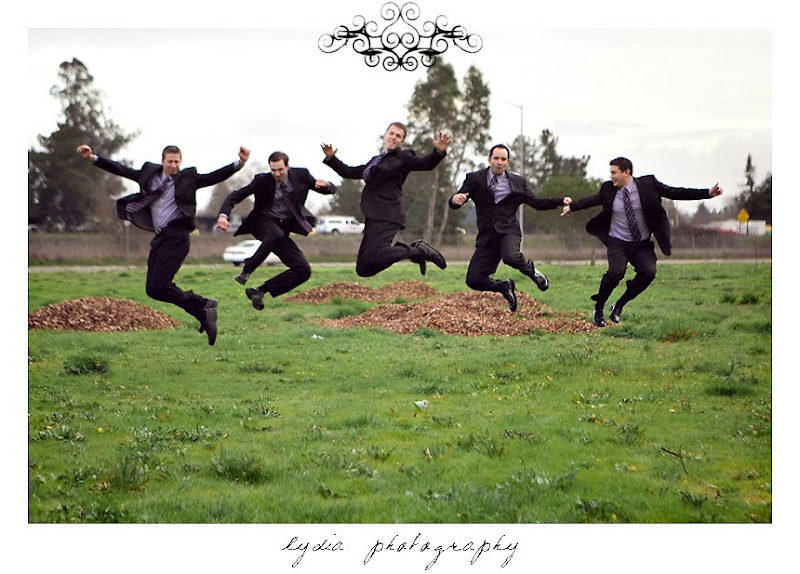 A lack of ability to count 1-2-3-jump could be the difference between a 20 minute workout before the wedding and getting it right the first time. Things could get ugly if you're the only one not lifting off on time. I love it! You wanna be the co-photographer (with my uncle) at my wedding?? ...that is if I ever get married =). Wow! That first shot is awesome :) Love them! These are so funny!! I love them especially the truck and the jumping ones! Great guys shots! I think they don't get enough attention some times! These were fun! You forgot cute undies too!! Fantastic! I love the first image! Awesome series of shots Lydia! Love the first image and the one of the socks! looks like so much fun!